After a formal parliamentary debate, Canada declares war on Germany. German troops achieve a breakthrough at Kutno and Sandomir and reach the Vistula. Another heavy night attack (September 10/11) on London, 18 killed; Buckingham Palace damaged. Hitler decides to postpone Operation Sealion until the 24th September. British convoy SC-42 (64 ships), sailing from Sydney to the Britain is attacked by a wolf pack of 19Â U-boats just south of Greenland between the 10th and 14th September. SC-42 loses 17 merchant ships forÂ 69,813-tons. 2 U-boats, U-207 and U-510 are sunk in return. The British and Russians demand that Iran expels all Axis nationals with 48 hours. Japanese begin war games at the naval college in Tokyo in order to develop their strategy for theÂ Pacific. The Red Army forces attacking from besieged Leningrad fail to break the German lines. After weeks of prodding by Goebbels, Hitler consents to make a short radio broadcast to the German peopleÂ on the dramatic events of the summer, particularly in Italy. After paying tribute to his fallen partnerÂ Mussolini, Hitler warns his enemies that getting rid of him will not be nearly so simple. Soviet marines supported by naval units of the Red Fleet recapture the Black Sea port of Novorossiysk. German troops occupy Rome and disarm all Italian troops in Italy and Greece. Eisenhower agrees to Monty’s airborne plan Operation ‘Market Garden’. The first allied patrol crosses German frontier east of Liege, near Aachen. The US First Army occupies Luxembourg. The British make an unopposed landing on the Greek Island of Kythera off the Peloponnese. The Russians enter Sofia, the capital of Bulgaria. 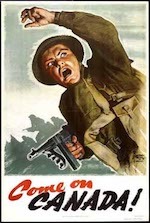 In Italy, US Fifth Army launches offensive on Gothic Line toward Bologna. The U.S. Navy begins a two-day bombardment of the Palau Islands in the Pacific. Vidkun Quisling, the Norwegian Nazi leader, is sentenced to death in Oslo. American-born Mildred Gillars, the Nazi wartime radio broadcaster known as ”Axis Sally,” was indictedÂ in Washington, D.C., for treason.